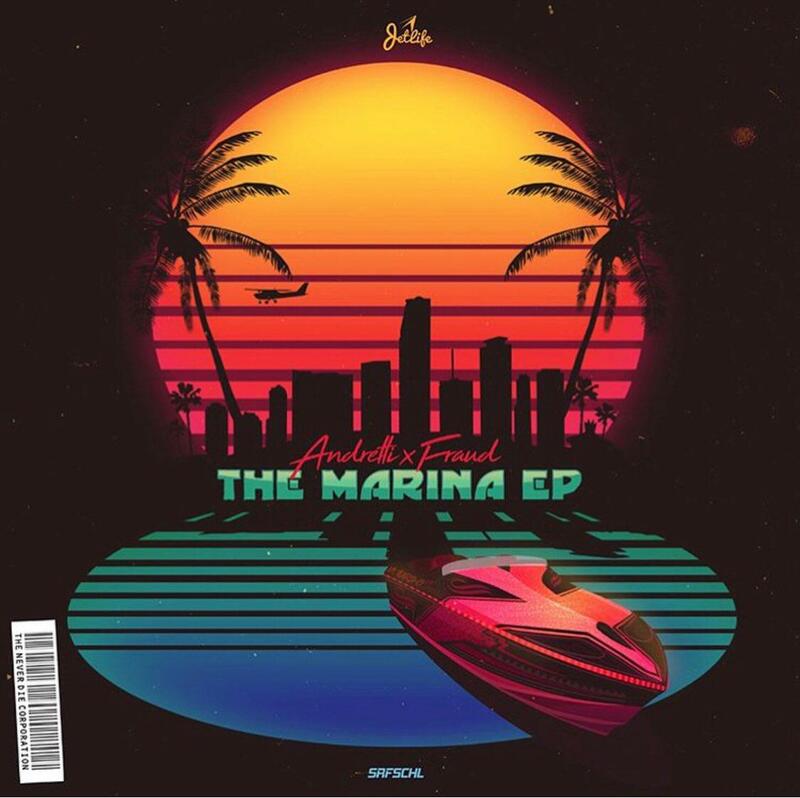 Curren$y releases "The Marina Ep," featuring Action Bronson, Wiz Khalifa, & more. Curren$y is back with another round of new music. 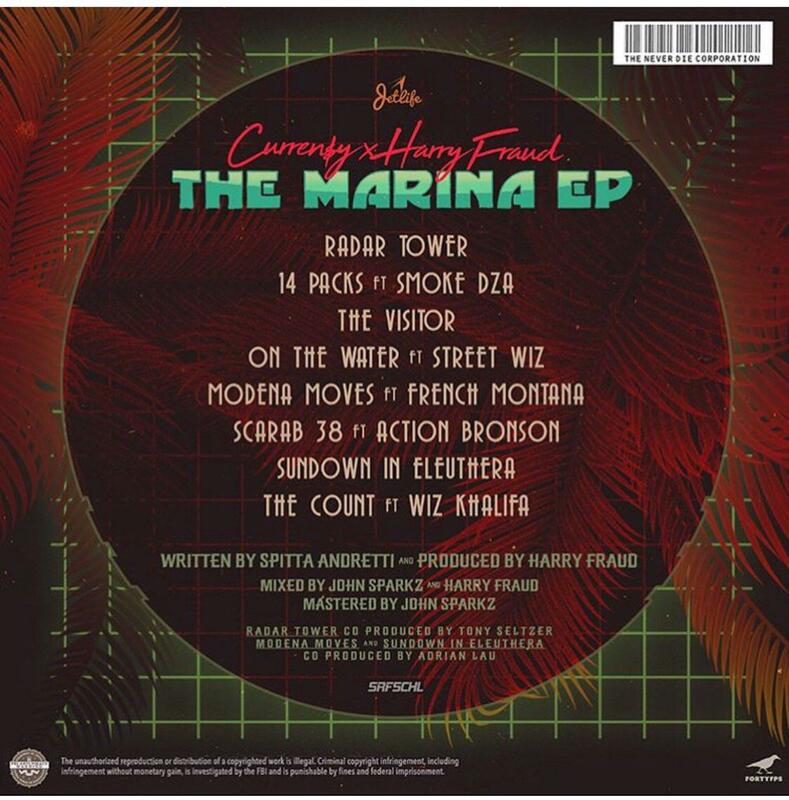 After announcing the project last month, Spitta stays true to his word and releases The Marina EP with Harry Fraud today. 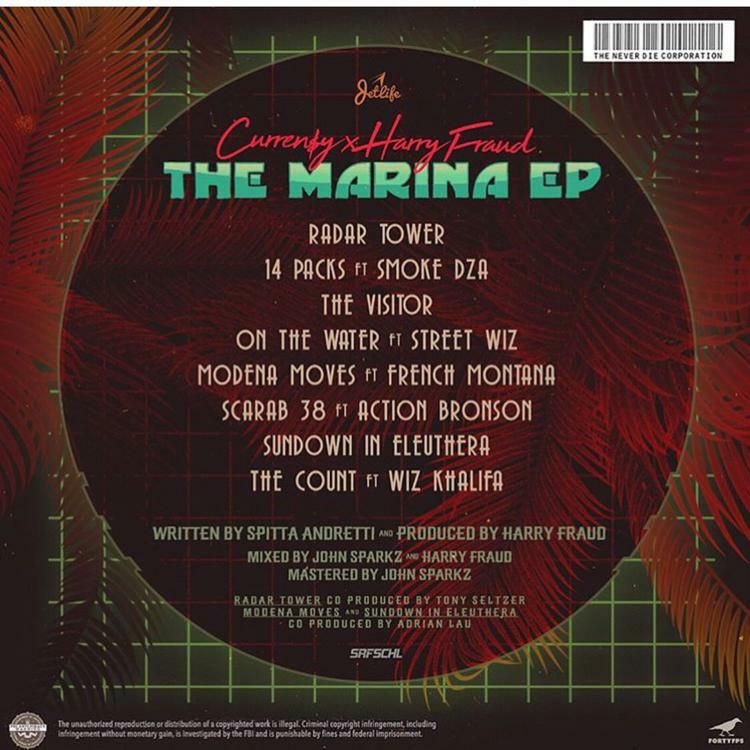 Following up 4/20’s Air Freshna EP, The Marina contains 8 tracks in total & features guest appearances from Wiz Khalifa, Action Bronson, Smoke DZA, French Montana, and Street Wiz. Meanwhile production is handled entirely by Harry Fraud, who said the project was the most conceptual project he’s ever worked on. “TheMarinaEp is the most conceptual project I’ve ever worked on... everything connects... no wasted moments... a film for ur ears complete with special FX 🚤💨🚤💨,” he said. Available on iTunes, fans can stream the project in its entirety via Apple Music. Suggest you roll one up before hitting play. Enjoy!